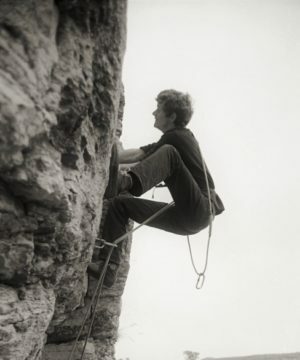 Rock climbing legend Geoff Birtles has successfully published and edited many climbing publications and was a pioneer and motivating force behind many new routes in the Peak District and specifically Stoney Middleton. He has just completed the Storey of rock climbing in Stoney Middleton for the village Heritage Group. The village is immensely grateful to Geoff who has worked on and off for a number of years to put the full story together; thanks Geoff. ‘There are not many climbing places in the UK quite like Stoney Middleton; a combination of magnificent cliffs, easy access, balmy micro climate, a cafe and three pubs, all within easy access of major cities like Manchester and Nottingham and, in particular, Sheffield from where the number 84 Buxton bus dropped you outside The Grouse Inn on a dark Friday night. 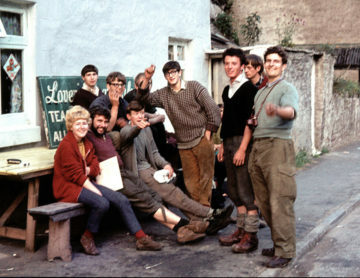 That is how it was when I first arrived there in September 1962, a 15-year old schoolboy about to set out on an adventure that would last a lifetime’.